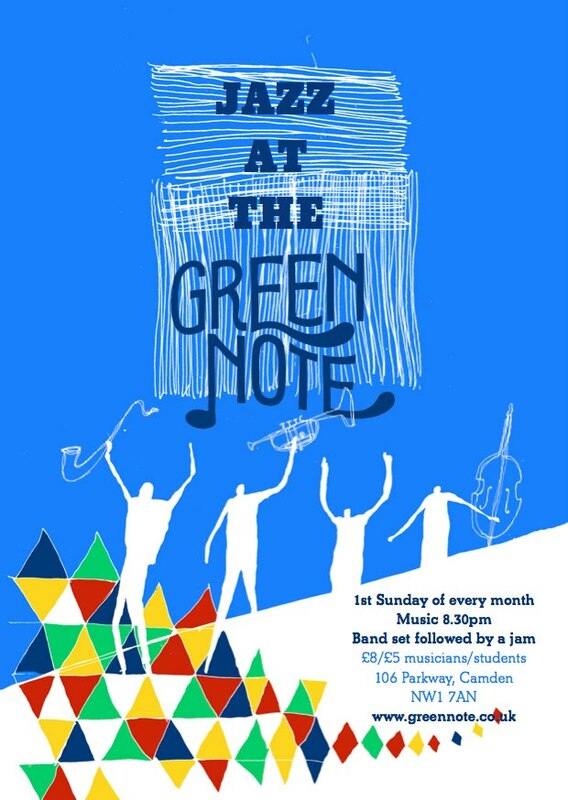 Looking forward to Entropi’s next gig this Sunday at the Green Note, featuring Percy Pursglove on trumpet and flugelhorn. We’ll be playing one set followed by a jazz jam hosted by Tom Millar. It’s a really nice venue, I was there last month to watch the ‘Twelveheads’ good music and a great vibe.